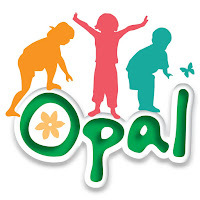 Primary School Play Advisor accredited by OPAL. OPAL Outdoor Play and Learning is a researched and evaluated play development programme and expert design service that supports excellence in play. Primary schools benefit from a set of meetings and resources supported by an expert mentor delivered over 12 - 24 months. OPAL supports better; policy, planning, risk management, staffing, design, grounds, equipment and resources. Sadly the word 'play' is often dismissed as folly despite its centrality to learning and development. The Early Years Foundation Stage utilises the power of play in its curriculum. The play drop off in Primary Education is arbitrary. The necessary conditions for play to flourish are diminishing across society as a whole. Creating quality playtime's is an ideal opportunity for schools to address this deficit in childhood – ‘Breaktime’ is 20% of what a primary school does and improving it gleans whole school benefits in behaviour, emotional well-being, engagement and inclusion.